Catherine Ashton, the EU’s foreign policy chief, said Sunday that negotiations with Iran may well go on after their six-month deadline in July. Through deed and word, the White House has made clear repeatedly that it prefers a nuclear-armed Iran to an Israeli strike to prevent Iran from becoming a nuclear power. As it has done several times over the past six years, the Obama administration can be expected to continue to use the many means it has at its disposal to prevent Israel from launching such an attack. 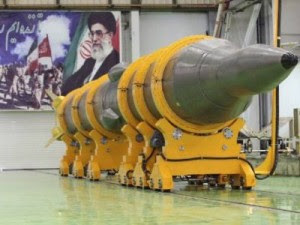 Moreover, with each passing day Iran’s nuclear sites become more and more difficult to attack successfully. And Iran’s technological capabilities have vastly expanded over the past decade. Today Iran can replace damaged or destroyed centrifuges much faster than it could in the past.